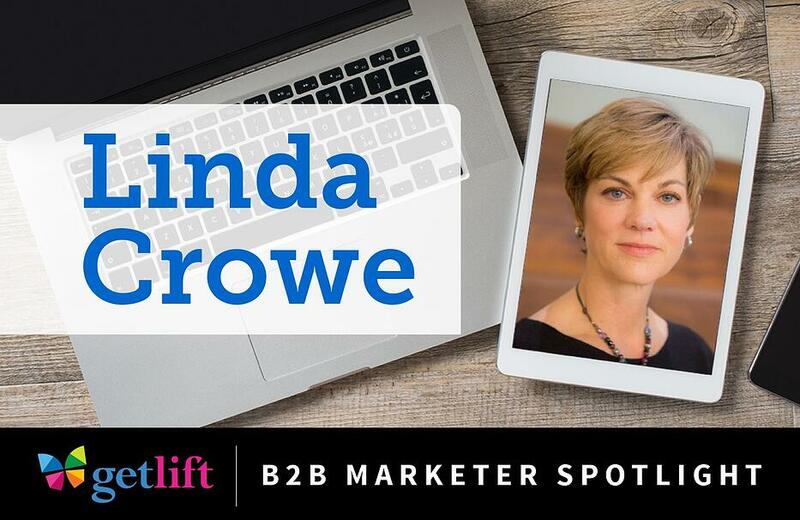 We’ve had the pleasure of working with Linda since she joined Brightcove and she’s made us feel like a part of her team (which can often be found tearing up the dance floor at marketing conferences). Linda is a big fan of the San Francisco Giants, photography, and her dog Chase. We appreciate her taking the time to share her insights in this month’s B2B Marketer Spotlight. How would you explain to your grandmother what your company does? If you've ever watched a video on the internet, and you’re not on YouTube or any of the other social media channels, then there’s a very high likelihood that Brightcove technology is powering that video you see online. How would you explain to your grandmother what you do for work? Marketing is all about creating air cover for your company. It's about making people aware of it, finding people who would likely want your solution, and making sure that you are getting in front of them in a way that's meaningful to them while encouraging them to have a conversation with your company. Marketing then provides support to the sales team to help them close opportunities that marketing has surfaced. How has your job changed over the last five years? For marketers, being data-driven and using technology in an analytical way that provides a lot of value for their audience has become much more important. At the same time, we're also seeing a little bit of a balance to bring back the “Art of Marketing," which is about finding a way to communicate to an audience that's going to capture their attention, such as through compelling visuals. It's a blending of the art and science, but technology and analytics have definitely become more important for marketers. Which element of your marketing tech stack would you recommend to others? Why? Video is the most powerful form of digital communication the world has ever known. Being able to use video as a content type in building your marketing campaigns, and effectively communicating with the audiences you want to reach is going to be increasingly important. So, video as part of your marketing tech stack is a critical element. Marketing automation would be another important element of your marketing stack. 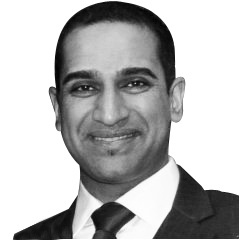 Being able to architect and instrument your campaigns as well as all of your web pages, so that you have deep insight into who's coming to your site, what actions they're taking, and tracking them throughout their customer journey is crucial in being able to be more digital, more analytical and technically savvy. What’s the best piece of content that you or your team produced recently? What makes it so good? One is a white paper that talks about the five mistakes you're making with marketing, and how video is a core component of what you want to be doing with your marketing. Even though it's two years old, it's still our top performing white paper for converting audiences into leads, which makes it a powerful tool. Another piece of content that has been incredibly effective is a series of videos that we call, "Meet your Account Manager," this is a customer marketing piece we send out to companies that are Brightcove customers already. It consists of a video of their Account Manager introducing themselves in a way that's human and relatable with the goal of making people in companies who may not necessarily know that they're Brightcove customers aware that they are, while introducing them to the person that's there to support them in a very lighthearted way. We get a great amount of conversion on this, as not only does this humanize our brand, but we're also converting additional interest within our existing customer base. What’s your best tip for establishing a productive relationship with your sales team? At Brightcove, we use sales goals as our compass for how we're going to construct our marketing programs. When we're planning for the year, the sales team knows their target numbers for retention, upsell, and for new business. They then have to figure out how they're going to get to that target. Marketing can then back that out to determine the number of conversations and opportunities that they need to drive. And that backs out to who are the audiences that they need to invest in, and what are the numbers of leads we need to drive in all those categories. Marketing can then not only take those analytics and numbers but figure out what's the best way to start communicating with those different audiences, given the sales target we've got. This allows our sales leadership team to see how everything we are doing is focused on helping them achieve those targets. We also have regular check-ins throughout the year to ensure that we're still alligned and that the programs that we're delivering are helping them advance their efforts. What daily or weekly habit is the most important thing you do to help you be productive and successful at work? I like to spend a couple of minutes every night looking at my calendar for the next day. On Fridays, I usually take a look at my schedule for the next week, to make sure that I'm taking inventory of the key projects that I need to drive, and the meetings and conversations I have to have. I also make sure that those are all planned out on the calendar so that by the time I hit Monday morning, and every morning during that week, I know that I'm focused on the things that are most important. If you manage a team of marketers, please share a tip that has served you well in getting the most out of your team? The people who have worked for me in the past tell me that the thing they most appreciate about me as a manager is that I'm quite transparent about what our leadership is expecting of me, and how their job connects to what our team is trying to accomplish. Having that transparency is critical so that every individual in the organization understands how they're contributing to the company getting to their goal. What did you study in college? How has it helped you in your career? I was an economics major. I think that it wasn't so much about what my major in college was, it was going to a school that encouraged you to think and to be able to support whatever opinion you had created, and then being able to concisely articulate why this was your conclusion for a particular opinion or theory. Another thing I learned during college that has served me my entire career was that I went to a school that demanded that you show proficiency in writing skills and I can't emphasize that enough. Writing has been critical particularly because I'm a marketer. What’s the best interview question to evaluate a B2B marketer? Tell me about a campaign or a program you created that was successful, and why you think it was successful. What advice would you give to your 25 year-old self? Be bold. Jump in, do things, try new things, don't wait until somebody gives you permission. What’s the biggest intangible that you look for in a job candidate? I want somebody who is going to be good under pressure, someone that doesn't let panic or fear or overwhelm stop them from moving forward. How will marketing for your business or industry evolve over the next three years? Video is exploding on the web, and its pace is going to increase exponentially, so we've got to figure out a way to be able to scale to meet that growth and that onslaught of demand and attention that mainly B2B companies, but also B2C companies are going to be driving. They'll want more information, more attention, and there's going to be a lot more opportunity. And so that's the challenge and the opportunity, to stay ahead of that exploding demand. What underrated skills should every marketer have to succeed today? In three years? Being able to write coherently. I think every marketer needs to be clear and concise with their writing skills, whether you're producing external-facing content or not. Communications is critical, and I don't see that going away. I think the other thing is, how can you continue to be analytical and figure out what's working and what isn't. What are some of the challenges that you see marketers having over the next couple of years? The explosion of technology including niche technologies. There's a new technology company starting up every single day that sells some niche product in marketing, and not all of these technologies are a solution for every company, or for every marketer, or for every marketing task. So, having a whole bunch of point products, and weeding through just the sheer number of solutions that are available for all these different tasks and problems is overwhelming. I think marketers need to be able to take a look at what their goals are, how they want to accomplish them, and then look at the technology that's going to get them there. And I think having that explosion of technologies just makes that challenge much harder. How do you keep your B2B skillset up-to-date? Reading, going to conferences, talking to my customers, talking to other technology companies, as well as to other companies in the B2B space. Which conference is a can’t-miss for you? Why? I am liking the SiriusDecisions Summit right now because they are so locked into having processes, methodologies, and measuring success. I think having that mindset to be almost scientific in your approach to marketing is always great learning for me. Which blogs or newsletters are a must-read for you? Why? I enjoy the Content Marketing Institute blog and newsletter. It's the one I am most consistent with reading because it's very dialed into how you can communicate with your audiences in a way that will add value for them. How do you stay up-to-date on your industry? What do you recommend for others? I subscribe to our competitor's newsletters. I am on their email list, and I track what they're putting out regarding the content they're creating and the press they're getting. I also subscribe to a service called Owler that rolls up competitive information and gives me information about what my competitors are announcing, and what companies in adjacent technology spaces are doing. If you weren't a B2B marketer, what would you choose as a career? I'd probably be a photographer.